Monday is the last day for Bay Area residents to register to vote for the Nov. 8 general election. Election officials in San Francisco said more people are registering to vote for this election than in 2008, when Barack Obama was elected president. "These are high," said John Arntz, elections director. "This is a lot of people coming who are engaged with the voting process." The difference this time around are young voters who seem to be indifferent to the election. "A lot of people don’t really think it matters to vote," San Francisco State student Austin Stroschein said. "That’s what I’ve heard a lot of." SFSU grad student Anne Wong agreed, saying, "Some people are just indifferent, like what’s the difference between Donald Trump and Hillary Clinton." But millennial voter Elyse Knopf sees a sharp contrast between the candidates and a lot to motivate voters. "There’s two very different candidates, and I think it’s very important for all millennials to get out there and give their opinion," she said. San Francisco - total registered voters, 503,802; total vote-by-mail ballots, 299,544 (Democrats, 186,949; Republican, 24,573); total ballots returned so far, 34,255 (Dems, 23,782; GOP, 3,419). Alameda County - total registered voters, 873,959; total vote-by-mail ballots, 567,939 (Dems, 333,840; GOP, 70,492); total ballots returned so far, 62,272 (Dems, 39,130; GOP, 9,025). Contra Costa County - total registered voters, 597,000; total vote-by-mail ballots, 387,000 (Dems, 199,000; GOP, 87,000); total ballots returned so far, 51,000 (no party breakdown available). Marin County - total registered voters, 159,514; total vote-by-mail ballots, 119,267 (Dems., 67,075; GOP, 20,533); total ballots returned so far, 15,752 (Dems, 10,012; GOP, 2,705). 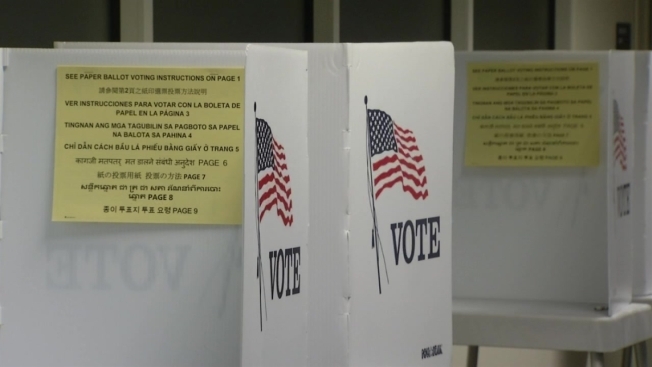 Santa Clara County - total registered voters, 860,351; total vote-by-mail ballots, 660,770 (Dems, 313,451; GOP, 135,250); total ballots returned so far, 64,229 through Saturday (Dems, 33,405; GOP, 13,511). Bay Area residents can register to vote online at registertovote.ca.gov. The website can be accessed even from a smartphone or tablet. Paper registration forms can be found at libraries, the county election office, Department of Motor Vehicle offices and U.S. Post Offices. Paper registration forms must be postmarked no later than Monday, according to the Secretary of State's office. Bay Area residents can check their voter registration status on the secretary of state's website.